Taiwan's official Central News Agency explains that not only traditional dialects such as Cantonese and Shanghainese are to be preferred, the company is also on the look out for "inland Chinese dialects." A New Compulsory Manual for Transasia Airways Flight Attendants? Is this a sign that the company expects important numbers of visitors from remote areas who are more comfortable speaking their own dialects? 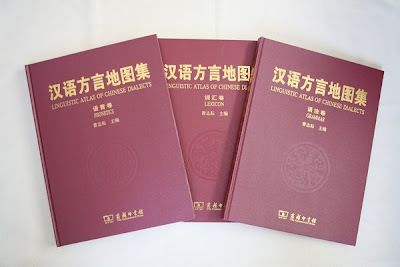 Apparently, China's policy of imposing putonghua 普通話 or mandarin as a common tongue has not managed to eradicate not only Cantonese or Shanghainese as visitors to Shanghai or Canton can testify but has also failed to eradicate daily use of so-called inland dialects. These visitors will be surprised to hear not only Mandarin and English but also Taiwanese and Hakka announcements in many public transport systems in Taiwan. While the policy of having Mandarin as a common language has not only facilitated communications within China and with Taiwan, keeping one's own mother tongue alive helps to prevent dialect speakers from having a negative of the worth of their own culture and self-worth. It is an irony of history that Transasia Airways' name in Chinese means "regain China" and that its business might show rapid growth in the years to come thanks to Chinese passengers' growing numbers visiting Taiwan. Indeed, individual travel to Taiwan from China might be one of the most "interesting" decisions taken by a Taiwanese government.